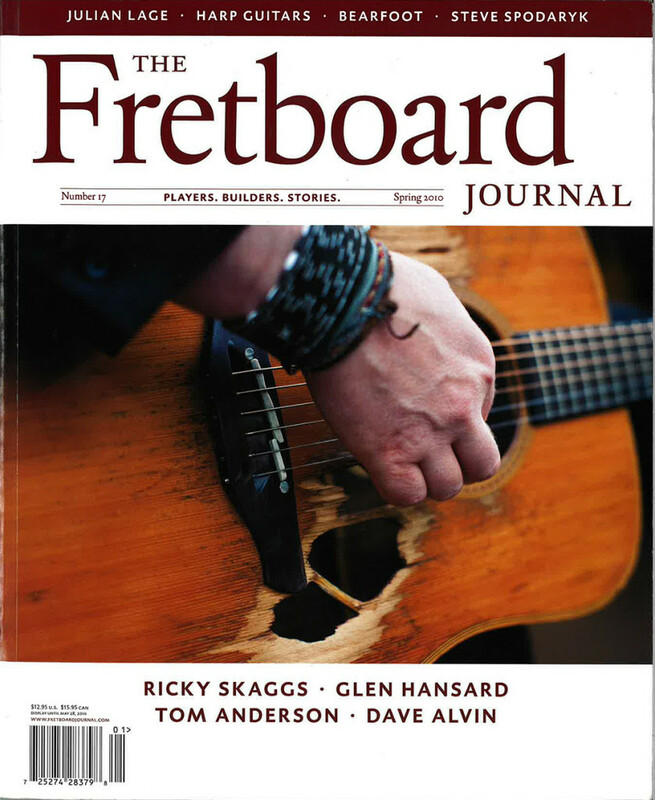 Issue 17 of the Fretboard Journal features another 128 pages of the most interesting stories from the world of guitars and fretted instruments and more truly amazing photography. 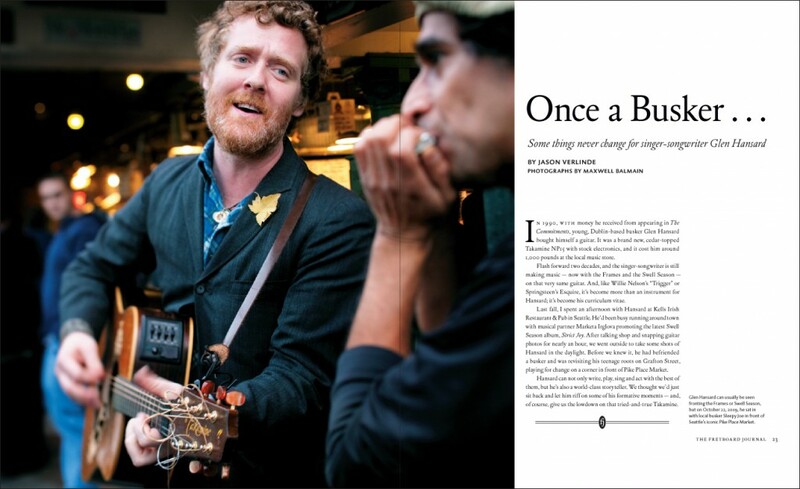 Publisher Jason Verlinde chased Glen Hansard through the streets of Seattle and into Pike Place Market to get his story. Harold Fethe profiles the prodigy’s prodigy, Julian Lage. 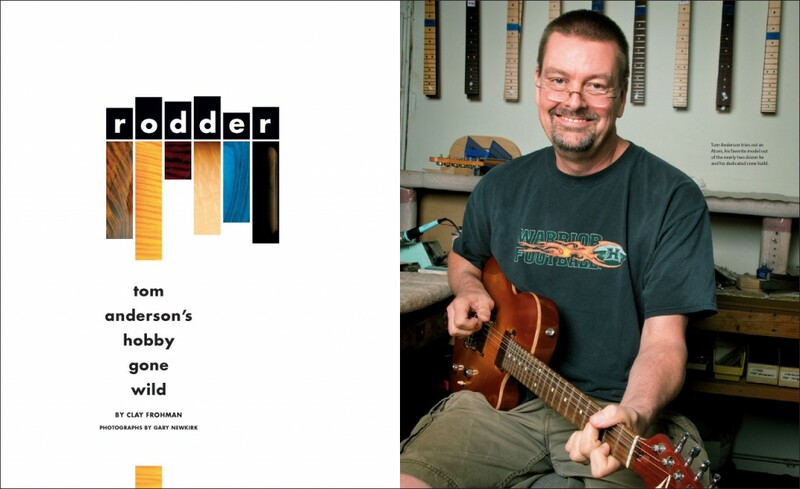 Clay Frohman goes behind the scenes at Tom Anderson Guitarworks. 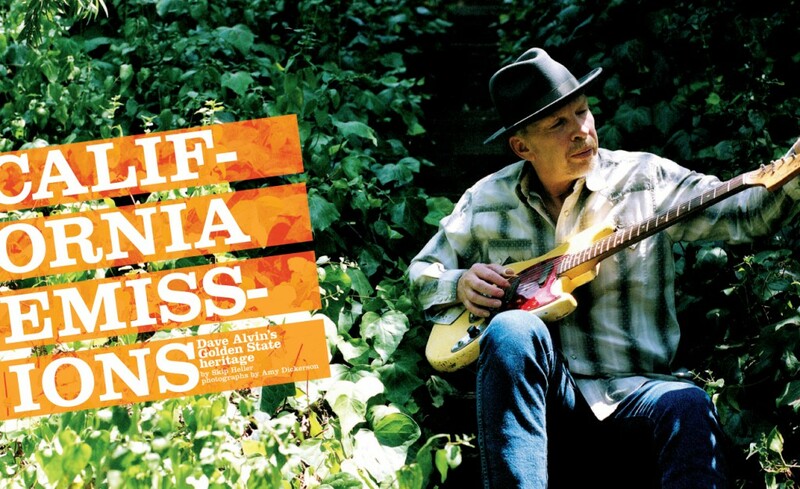 Other highlights include profiles of the legendary musicians Ricky Skaggs and Dave Alvin and luthier Steve Spodaryk, a look at the rarefied world of the harp guitar community and much more. 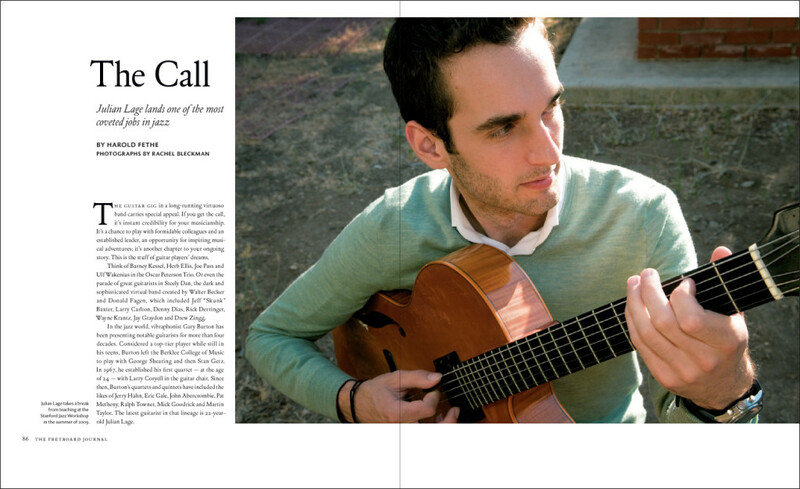 In his teens, guitar phenom Julian Lage left Berklee to play with George Shearing and Stan Getz. Now in his early 20s, he’s backing Gary Burton. As writer Harold Fethe discovers, Lage is in fine company (other Burton lineups have included Eric Gale, John Abercrombie, Pat Metheny and Ralph Towner). We hear from Lage about what it’s like to back up the jazz legend, his fondness for his Linda Manzer archtop and more. We also hear from Burton himself on what makes a good jazz guitarist. 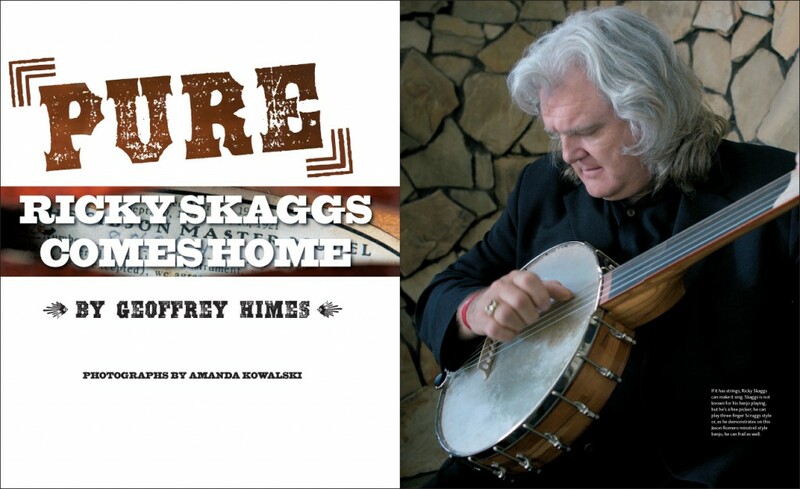 “Great instruments inspire,” Ricky Skaggs tells scribe Geoffrey Himes in this lengthy interview about music, mandolins and guitars. The bluegrass and country legend should know a thing about great instruments, too … he has a bunch of them in his collection. From his Loar mandolin to his new Paul Reed Smith acoustic, Skaggs gives us the grand tour of his instrument quiver. We also hear about his first encounter with Bill Monroe (when Skaggs was just six!) and some of his favorite recording sessions. The number of luthiers creating copies of vintage Martin dreadnoughts and OMs is immense. But at least one builder, Steve Spodaryk, is looking even further back, creating exquisite reproductions of the earliest Martin guitars from the 19th century. 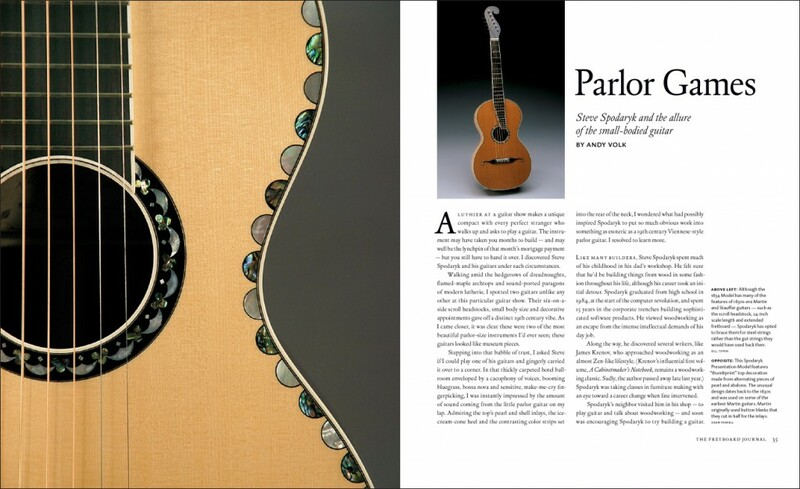 Writer Andy Volk visits Spodaryk and discovers all of the work it takes to replicate these 1830s era guitars. Most of us don’t even like tuning 12-string guitars. 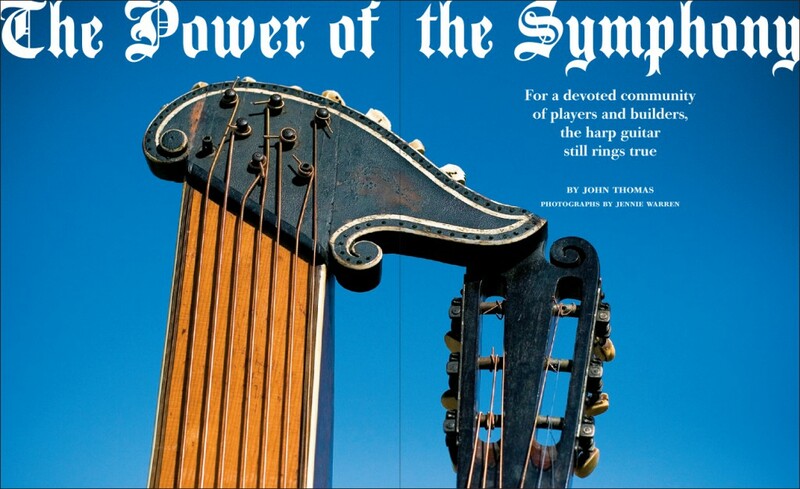 But for a certain, select few, the harp guitar – yes, guitars featuring any number of extra strings extending out like a harp – is their instrument of choice. They buy up old Gibsons, Larson Bros. and Knutsen harp guitars (or commission new models!) and even attend annual harp guitar gatherings. Writer John Thomas explores this intriguing guitar sub-culture (led by musical instrument collector Gregg Miner of California) and walks us through the intricacies of these amazing instruments. We also describe the current (and growing) crop of harp guitar builders and players out there. Glen Hansard is a natural storyteller. So, when Fretboard Journal publisher Jason Verlinde went out to interview the frontman for the Frames and the Swell Season (and the star of the movie Once), he let Hansard loose and let the tapes roll. We hear about his early busking career (which he hasn’t given up quite yet, despite winning an Oscar), the beat-up, cedar-topped Takamine acoustic that he play and some of his unlikely encounters with none other than Van Morrison and Bob Dylan.